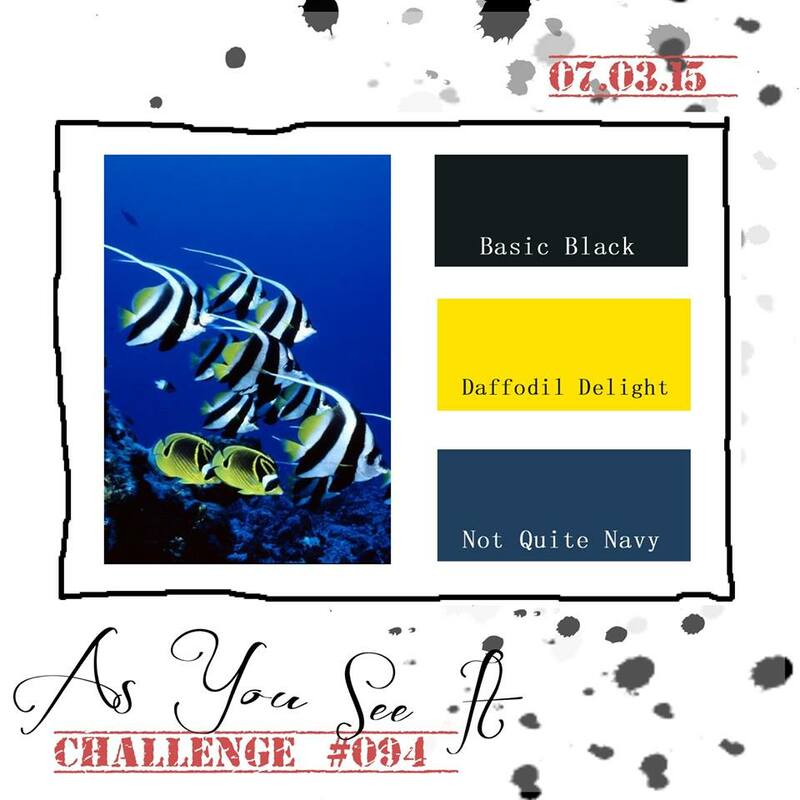 I loved The Paper Players sketch challenge this week, and it just so happens that As You See It Challenges has a colour challenge, and when that happens I can do two challenges in one! JOY! 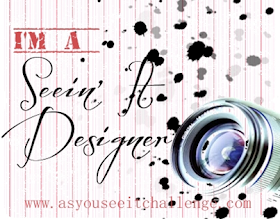 I love the inspiration photo for the As You See It Colour Challenge! It's terribly nautical, so I had to get out my new From Land To Sea stamp set to take it on. We don't have Not Quite Navy anymore so I substituted Night of Navy instead. And this sketch from The Paper Players has so many great design elements! I think I might have chosen flowers and pastels if I was going to do it on its own, but it was either combine with As You See It, or not do it at all and I didn't want to miss it! I don't know much about jellyfish, except to be leary of them when you're swimming in the ocean, but their undulating ethereal quality is very eye-pleasing and I thought I could best capture that using an emboss resist. 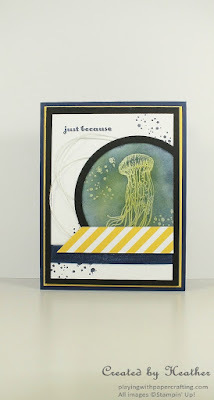 I sponged the Daffodil Delight and Night of Navy on the die-cut circle of Whisper White, then stamped the image of the jellyfish, along with some of the "bubbles" from Awesomely Artistic, in Versamark and covered it with Clear Stampin' Emboss Powder. I used the Heat Tool to set it and then sponged on more Night of Navy ink all over, rubbing it into the image to make it visible by contrast. 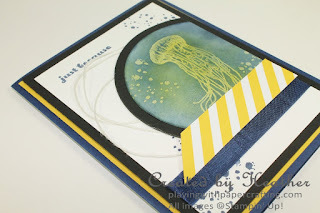 The yellow that I first sponged on shows through where the clear embossing powder covers it. One of the elements of the sketch that I like so much are the loops of twine beside the circle. They add a muted touch here which keeps the jellyfish front and center, but soften the crisp, nautical colour a bit. I wanted to use something stiffer than Baker's Twine and that's when my eyes fell on my White Jute Ribbon. "I wonder...." and yes, you can unravel it and you get individual pieces of white jute - a little hairy, but trimmed up they work wonderfully as twine! 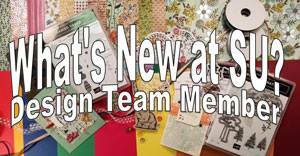 The banner is made from one of the Daffodil Delight Designs in the Brights Collection Designer Series Paper Stack. You have to cut the banner in the proper direction to get it to trim with the angle going the right way. The Night of Navy Seam Binding Ribbon looks almost like denim in this photo, but it really is shiny, but a little loosely woven which lets in those pinpricks of light in the picture. 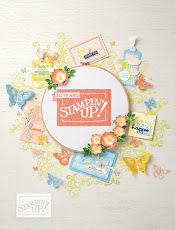 The sentiment is from "And Many More", a must have stamp set with sentiments for every occasion you could imagine. I have it in wood mount, because I don't want to be forever trying to decipher all those little backwards sentiments, which is how they look when I open the stamp case. And that's a wrap! 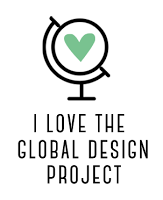 I hope you'll pop on over to As You See It Challenges to check out the other Design Team Samples, and also to The Paper Players to enjoy all the projects on display there! Have a great weekend, and I'll see you again on Monday!